Contact me for a signed copy of any of these books! Available from Gold Wake Press: The Neighborhood! This collection of short stories has fanged mermaids, pet wolves, philandering Little Red Riding Hoods, and more…order now from Gold Wake Press, Amazon, and Barnes and Noble. New: A Thai translation of With Animal! Even if you don’t read Thai, this book is worth it for the gorgeous artwork. From Red Bird Chapbooks, A Guide to Strange Places! This collection of short stories imagines what it would be like if settings had their own points of view. From Noctuary Press, The Reckless Remainder, prose poetry co-written with Carol Guess. 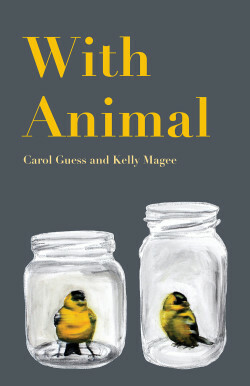 From Black Lawrence Press, With Animal, a collection of short stories that imagine people pregnant with various animals. Hybrid twins: one human, one horse. A man pregnant with a kangaroo, a woman raising a baby dragon. A twenty-first century Virgin Mary reimagined as a queer single mother giving birth in a petting zoo. A collaborative short story collection written with Carol Guess. From the University of North Texas Press, Body Language, winner of the Katherine Anne Porter Prize in Short Fiction. Buy it at UNT Press, Amazon, Barnes & Noble, or Powell’s. Buy an audio version at Audible. From Jellyfish Highway Press, Your Sick, a collection of short stories that center around characters sick with imaginary illnesses, co-written with Carol Guess and Elizabeth Colen. 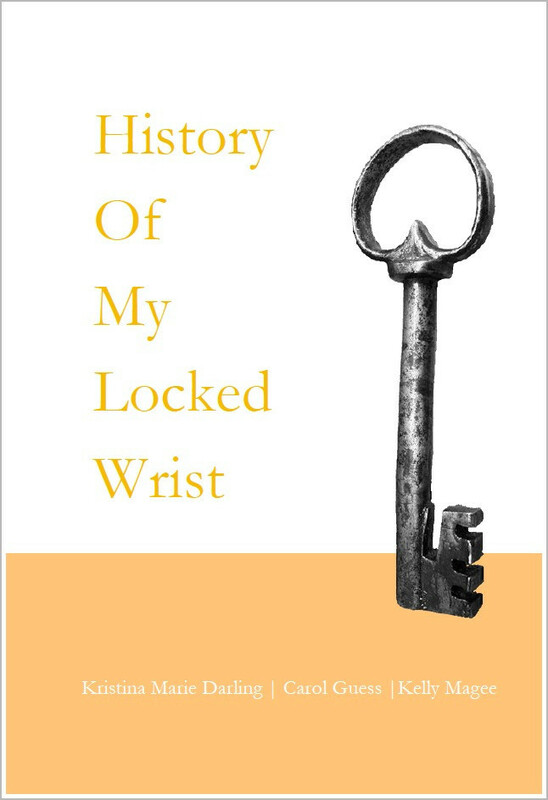 From dancing girl press, History of My Locked Wrist, a chapbook of prose poems written with Kristina Marie Darling and Carol Guess.